To claim this profile, please confirm you are Emili Betancourt. To follow this profile, please let us know your relationship to Emili Betancourt. RESULTLoss Girls varsity basketball @ Dixon. The Highlands varsity basketball team lost Tuesday's away playoff game against Dixon (CA) by a score of 59-40. This game is part of the "2019 CIF Sac-Joaquin Section Girls Basketball Championship - Division IV" tournament. RESULTWin Girls varsity basketball @ Golden Sierra. The Highlands varsity basketball team won Wednesday's away conference game against Golden Sierra (Garden Valley, CA) by a score of 75-26. RESULTWin Girls varsity basketball vs. Rio Vista. The Highlands varsity basketball team won Friday's home conference game against Rio Vista (CA) by a score of 52-37. 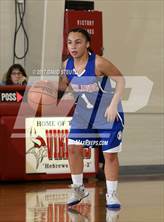 Emili's basketball stats have been updated for the win @ Linden. 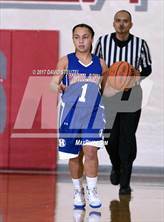 RESULTWin Girls varsity basketball @ Linden. The Highlands varsity basketball team won Tuesday's away conference game against Linden (CA) by a score of 65-16. 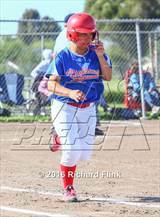 Emili's basketball stats have been updated for the win @ Vacaville Christian. 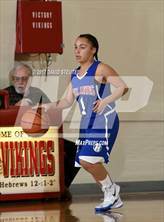 RESULTWin Girls varsity basketball @ Vacaville Christian. The Highlands varsity basketball team won Friday's away conference game against Vacaville Christian (Vacaville, CA) by a score of 53-30. Emili's basketball stats have been updated for the win vs. San Juan. RESULTWin Girls varsity basketball vs. San Juan. The Highlands varsity basketball team won Tuesday's home conference game against San Juan (Citrus Heights, CA) by a score of 63-21. 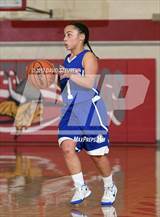 Emili's basketball stats have been updated for the loss vs. Golden Sierra. RESULTLoss Girls varsity basketball vs. Golden Sierra. The Highlands varsity basketball team lost Friday's home conference game against Golden Sierra (Garden Valley, CA) by a score of 44-40. 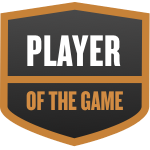 Emili was selected the Player of the Game in the basketball game against Rio Vista on Tue, Jan 15 2019. Emili's basketball stats have been updated for the win @ Rio Vista. RESULTWin Girls varsity basketball @ Rio Vista. 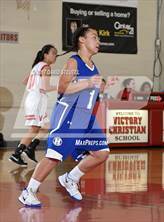 The Highlands varsity basketball team won Tuesday's away conference game against Rio Vista (CA) by a score of 74-42. Emili's basketball stats have been updated for the win vs. Linden. 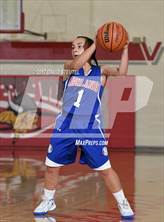 RESULTWin Girls varsity basketball vs. Linden. The Highlands varsity basketball team won Friday's home conference game against Linden (CA) by a score of 65-25. 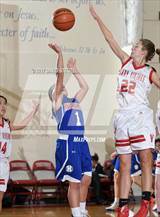 Emili's basketball stats have been updated for the win vs. Vacaville Christian. RESULTWin Girls varsity basketball vs. Vacaville Christian. The Highlands varsity basketball team won Tuesday's home conference game against Vacaville Christian (Vacaville, CA) by a score of 36-26. Emili's basketball stats have been updated for the win @ San Juan.